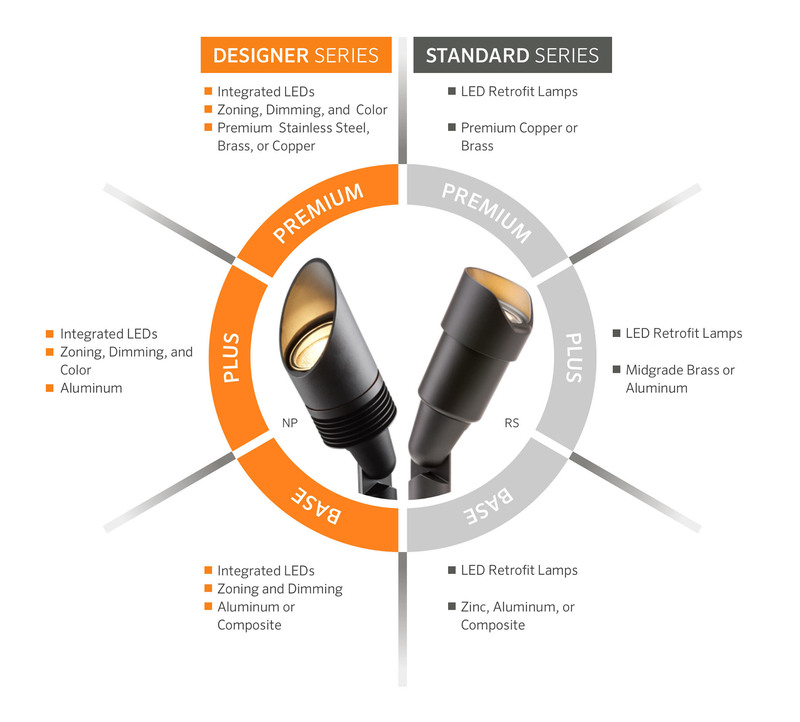 FX Luminaire's convenient fixture classification system is based on material construction, performance, and price. That way, you can quickly identify common fixtures and create lighting packages for any budget. All FX Luminaire fixtures are built with top-quality materials and backed by industry-leading customer support. As the industry leader in outdoor lighting solutions, FX Luminaire manufactures a wide range of products, including traditional and niche LED fixtures, transformers, controllers, and accessories. We have established a classification system for our products based on materials, technology, and price to better present our diverse array of solutions to different audiences. The FX Luminaire Designer Series offers lighting designers unparalleled control to create elegant, distinct designs for every installation. The series includes traditional and niche fixtures built with integrated LEDs. 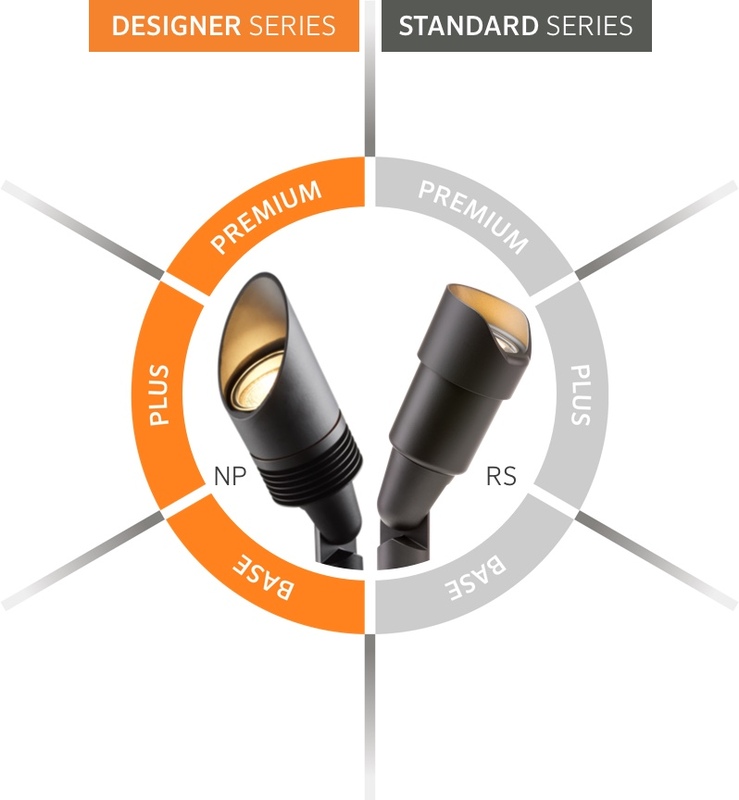 All Designer Series fixtures are compatible with our flagship Luxor® technology, which allows you to zone, dim, and add color to each individual fixture or group of fixtures. Choose fixtures constructed with high-grade brass, copper, or stainless steel for upscale installations, or aluminum fixtures for a more modest look. These fixtures include a global thermal management system that comes with a 10-year warranty. Convert the color temperature to one of four options with the included filters, and adjust the beam with our specialty lenses beam angle lenses. With Luxor technology, you can zone, dim, and add color to each individual fixture or group of fixtures. Zone fixtures together, and then set an intensity and/or color to each group to create lighting themes for the homeowner. Throughout the night, fine-tune the lighting according to the needs of the end user by reducing the intensity of some groups, while shutting off others. With 30,000 different colors to choose from, there are virtually limitless possibilities to create themes for holidays, parties, or special events. Designed for modest lighting installations, the FX Luminaire Standard Series utilizes incandescent or LED retrofit lamps, such as the popular MR-16 or G4 lamps. These lamps are easy to install, but ordered with a fixed output, color temperature, and beam angle. 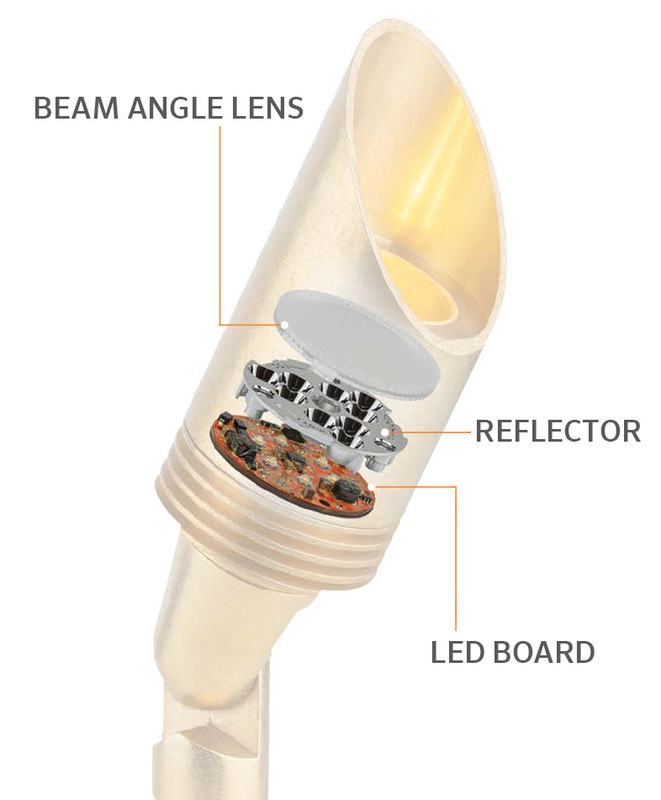 The compact nature of the LED lamps also comes with a 5-year warranty on the lamps. Within the Standard Series, a variety of materials are available depending on the budget and the protection required in the local environment. The Base Level consists of aluminum, zinc, or in some cases, composite construction. Moving up to the Plus Level adds more aluminum options, with some fixtures using midgrade brass. Ultimately, the Premium Level utilizes high-quality brass and copper for the highest level of protection from the environment and a stylish appearance. When you choose an FX Luminaire LED lighting system, you'll get the very latest LED landscape lighting technology and digital lighting control with zoning, dimming, color temperature, and beam angle options. 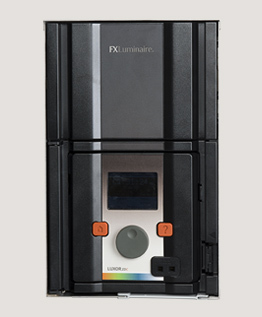 When Luxor ZD controls an LED landscape lighting system, lights don't simply turn on and off. They come alive. Luxor offers both zoning and dimming capabilities that provide virtually limitless design possibilities. Zoning allows lights to be programmed into preset themes, which can be activated for special occasions such as parties, or activities such as barbequing. 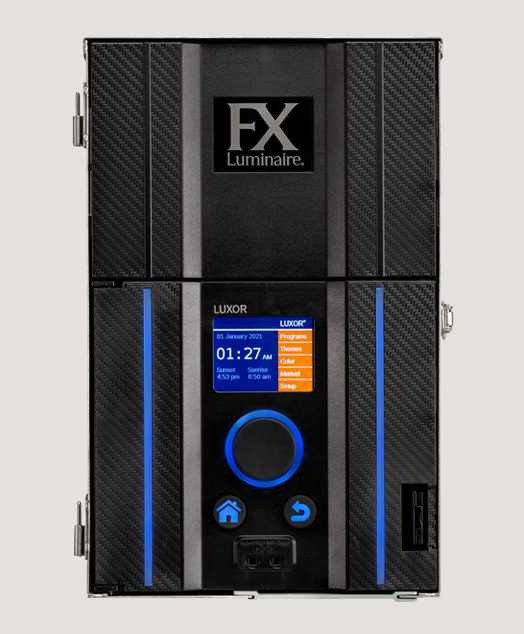 The Luxor ZDC provides the ability to create 30,000 colors using RGBW LED technology. With the ZDC, custom colors can be created for outdoor holiday displays, team spirit themes, company colors, or special events. Color temperatures can be adjusted to match vegetation and architecture, offering unique landscape looks throughout the year.